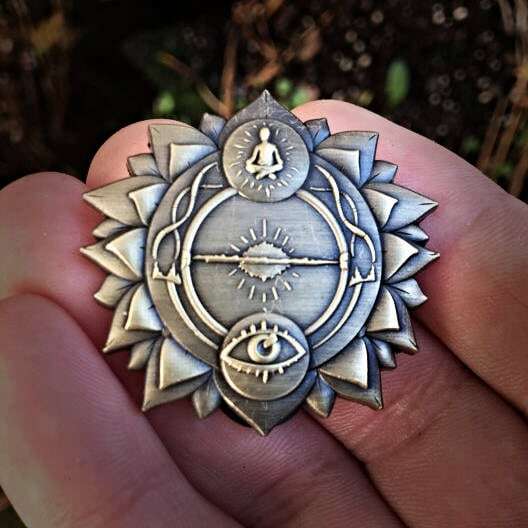 1.5 inch double backed hat pin designed by Artist Adam Riddle. 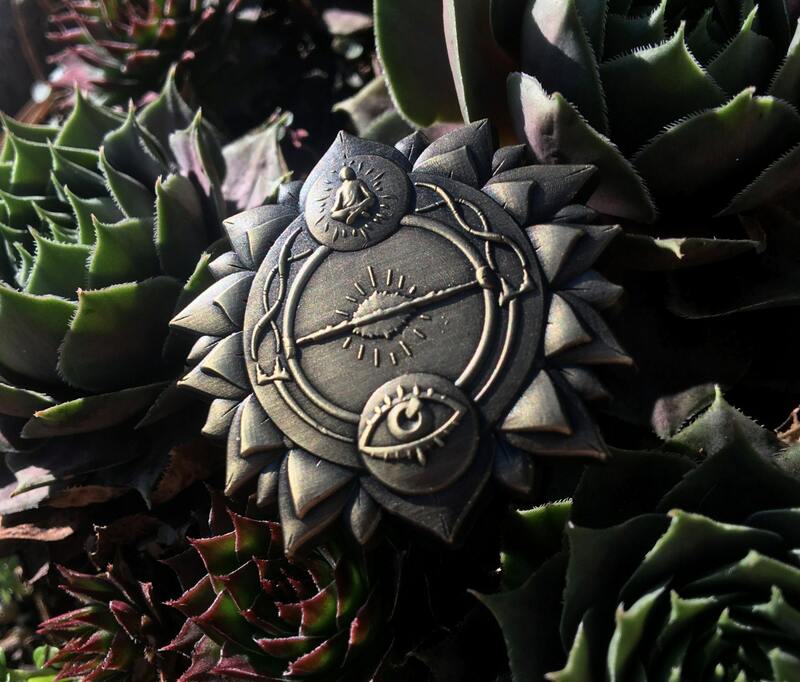 This pin represents mediation and yoga and finding peace within ones self. This pin has an almost 3 dimensional form. Made from a nickel alloy with an antique gold finish. Numbered and stamped.